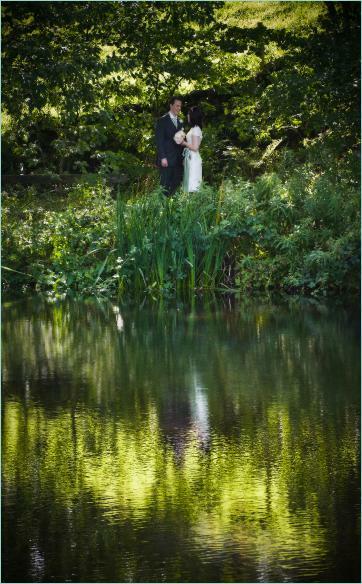 Wedding photography in Staffordshire, not our usual county but sitting just south of the Peak District National Park and on the edge of the Staffordshire Moorlands The Ashes is blessed with great countryside all around. We do like to get out and about too, its not all about Manchester :) The main events take place in two immaculately converted barns, with an ajoining coutyard, perfect for drinks and canapes on those sunny days – this is English rustic, but with the edges smoothed! There’s plenty of green areas too, perfectly complementing the rustic stone of the old farm and barns – the lawn in front of the old farmhouse has fantastic views and a great wall to sit on dangle your feet off and sipping your champers! To top it all off there’s water too – a small lush pond and a larger lake further down the long driveway.